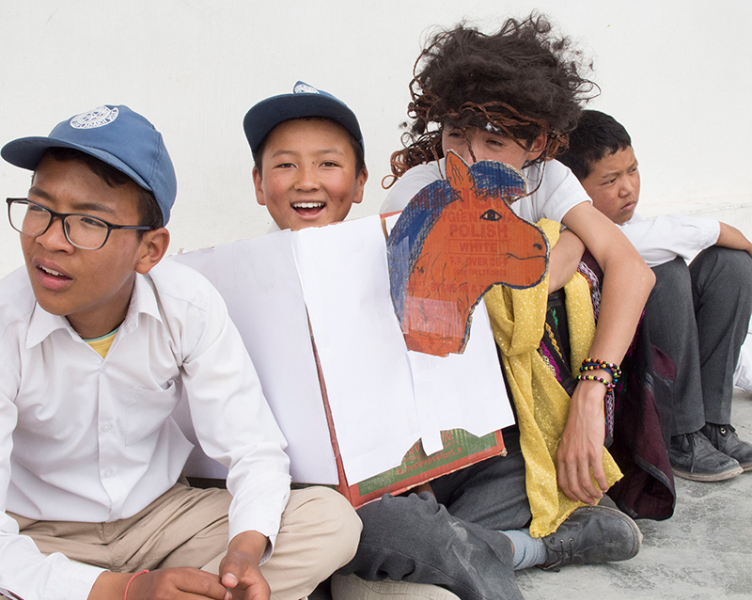 😃A Smile Begins with Jullay!😃 –Inspired by World Theater Day, this student chose to profile a hero in the local Ladakhi performing arts! 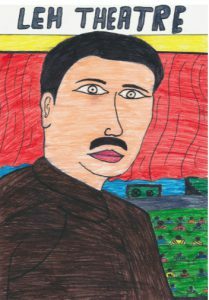 Drawing of Mipham Otsal by Padma Choesphel, Siddhartha class of 2018. Inspired by World Theater Day, Padma Choesphel, ’18, chose to honor Ladakh’s famed contemporary thespian, Ka Mipham Otsal, as his hero. Otsal, founder of the Ladakh Theater Organization, was born on June 9, 1953, in Leh. He is a theater artist who graduated in 1982 from the National School of Drama, India’s top-ranked institute for theater, becoming the first Ladakhi graduate from this great institute, which has given some of the finest actors to Bollywood. Did you know that Leh, Ladakh, has a thriving theater scene? Ladakh Theater Organization (LTO) was organized in 1995 by Mipham Otsal with the goals to foster the development of theater arts in Ladakh and to renew the tradition of storytelling through the dramatic arts, which hold great significance for the Ladakhi community. LTO has successfully produced a variety of plays, including a Ladakhi adaptation of Anton Chekhov’s The Proposal, and Horling, written and directed by Mipham Otsal. You can watch a clip below from this production. 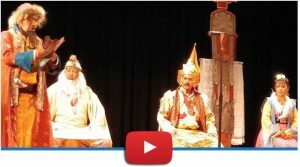 Siddhartha School students are inspired by the work of Mipham Otsal and regularly produce productions of literary and Ladahki cultural significance. Performances at school keep history alive for the children through this important medium. Like all children around the world, our Siddhartha students love being thespians! 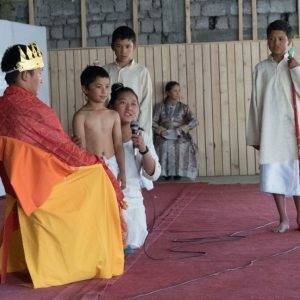 Photo: Siddhartha students perform the play The Twelve Deeds of the Buddha, 2018. Your gift of $20 today will help us provide our students with dream-come-true workshops with local artists like Mipham Otsal.